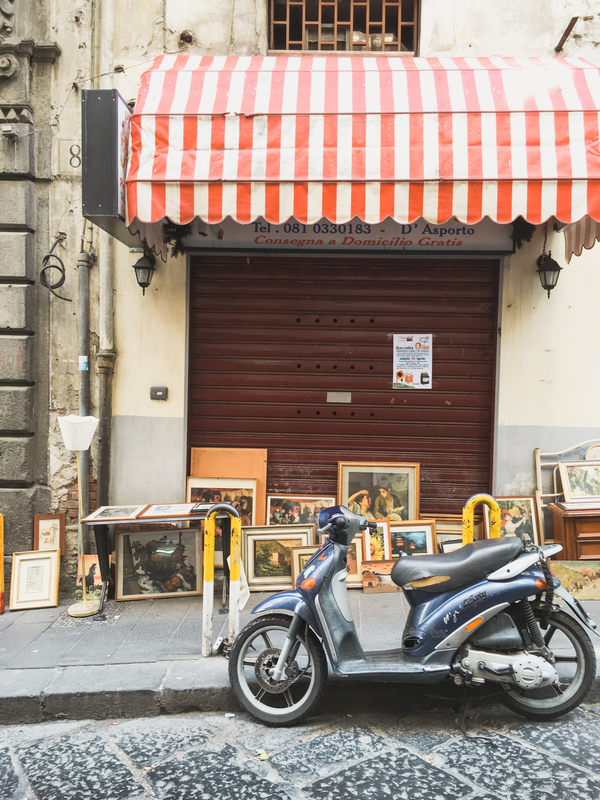 So you’re going to Naples and you’re afraid you’ll have to miss out on one of the best things the city has to offer? 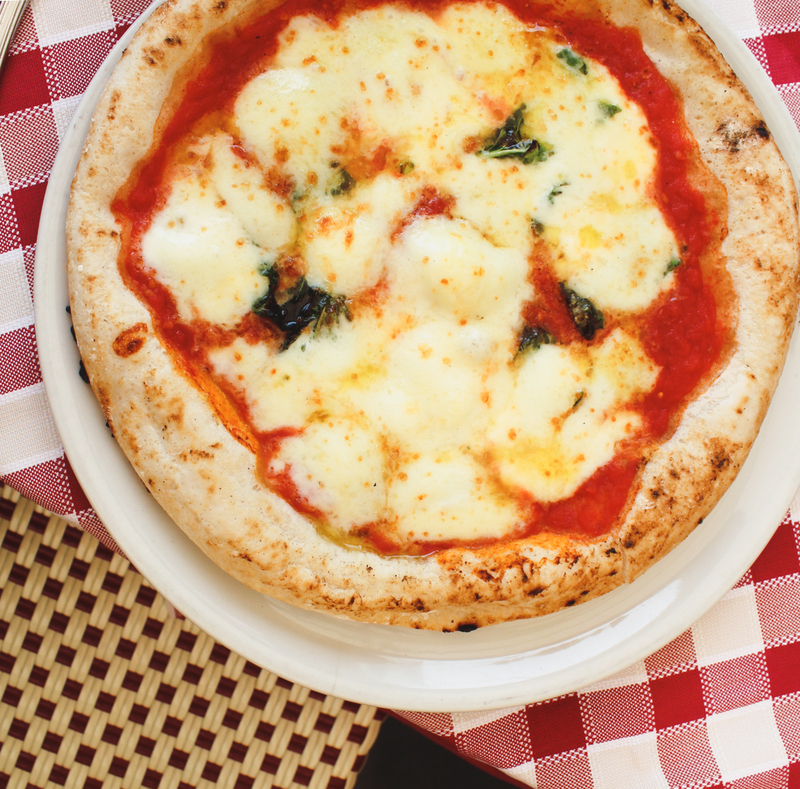 Rest assured, several pizzerias offer gluten free pizza that Naples dreams are made of. 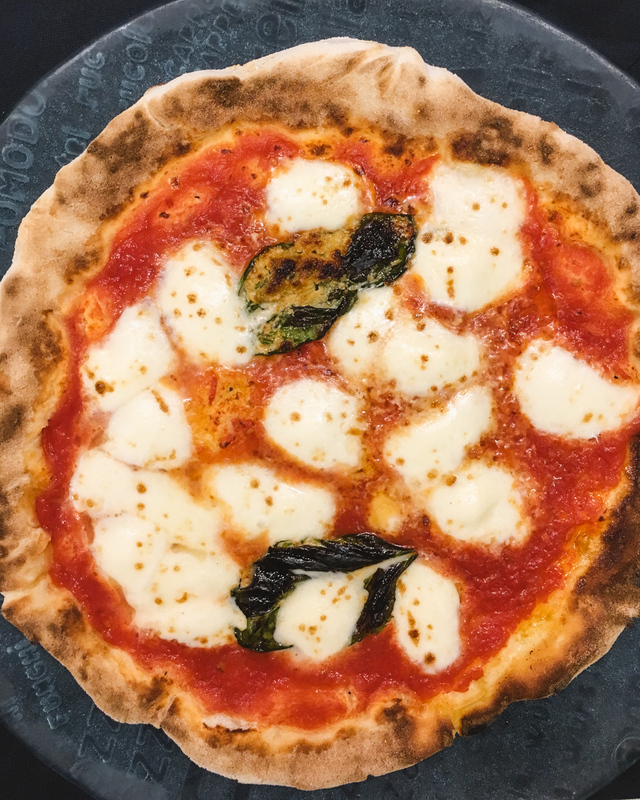 After a year of living in the area and many, many pizzas later, I can assure you there are some amazing spots for gluten free pizza in Naples. I can’t be responsible for the serious pizza craving this post may or may not induce… full disclosure. Pizza in Naples won’t come precut and it’s eaten with a fork and knife. Although, I have noticed younger generations will occasionally use their hands and pick up a piece. Sometimes a pizzeria will charge extra for gluten free, but even then it’s usually around $6… for the whole pizza! 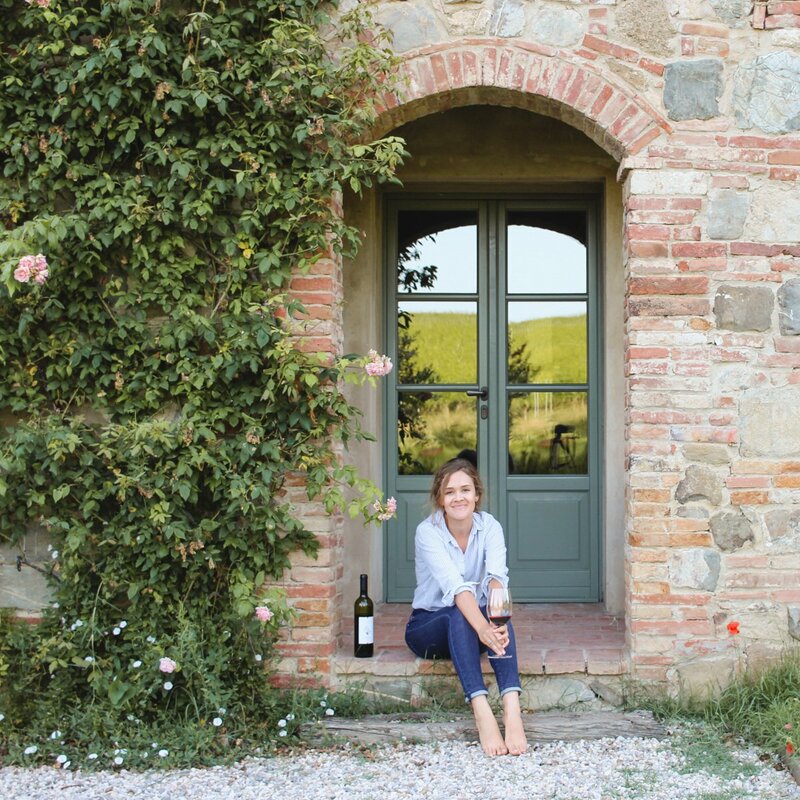 I stick to the classic Margherita, but almost always get the one with Mozzarella di Bufala. 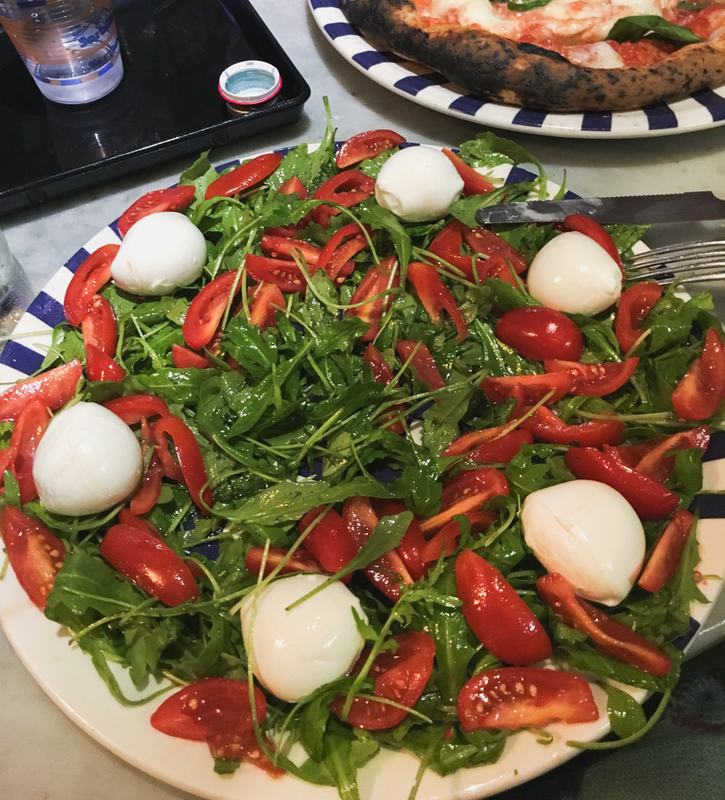 Pizza in Naples is about quality, fresh ingredients and perfecting the basics. 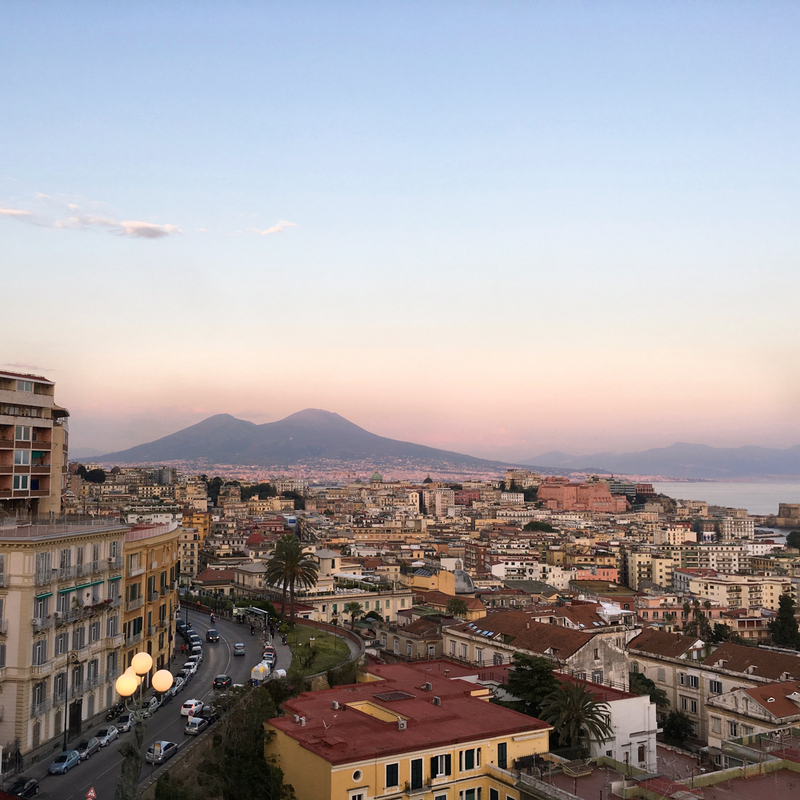 You’d never see pineapple and ham on a pizza in Naples. Surprisingly, a lot of varieties won’t have red sauce at all. 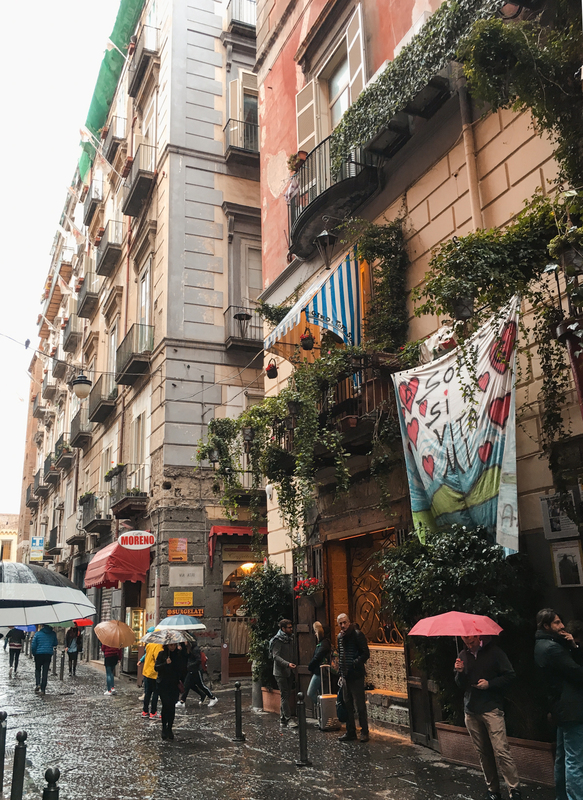 Despite being a country famous for pizza, pasta and carbs in general, Italy is very gluten free friendly. Italian grocery stores carry an extensive selection of GF foods. If you’re not around a big grocery store though, keep your eyes peeled for a farmacia. They usually have a few GF items. Italians know what gluten free is and they really do it well. They understand celiac is a disease and it’s not an fad or trend to Italians. The two phrases you’ll need to remember are, “Sono celiac” (I am celiac) and “Senza glutine” (without gluten). Now that we have the basics down, here are my top picks. 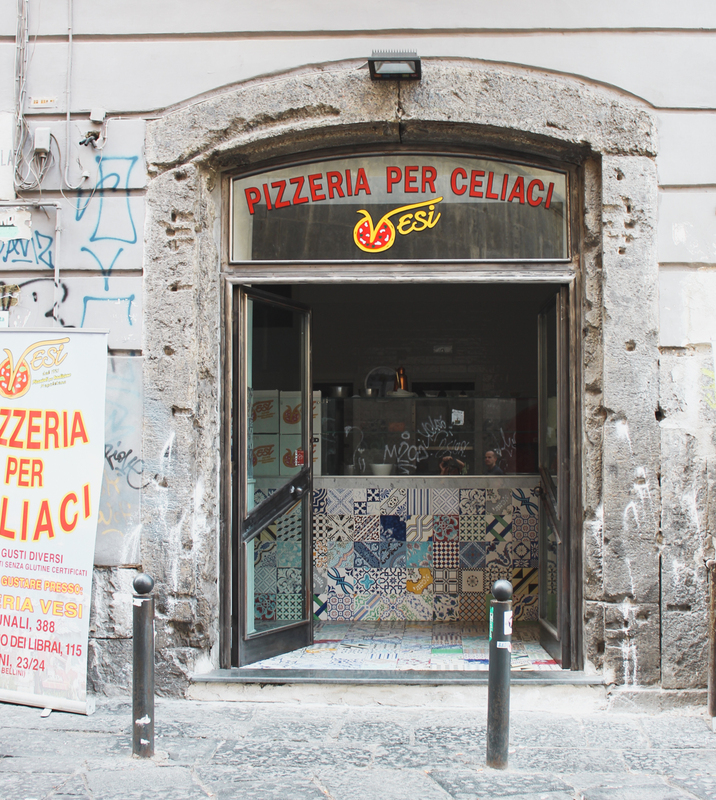 Starita was the first place I had gluten free pizza in Naples and for that it will always have a place in my heart. 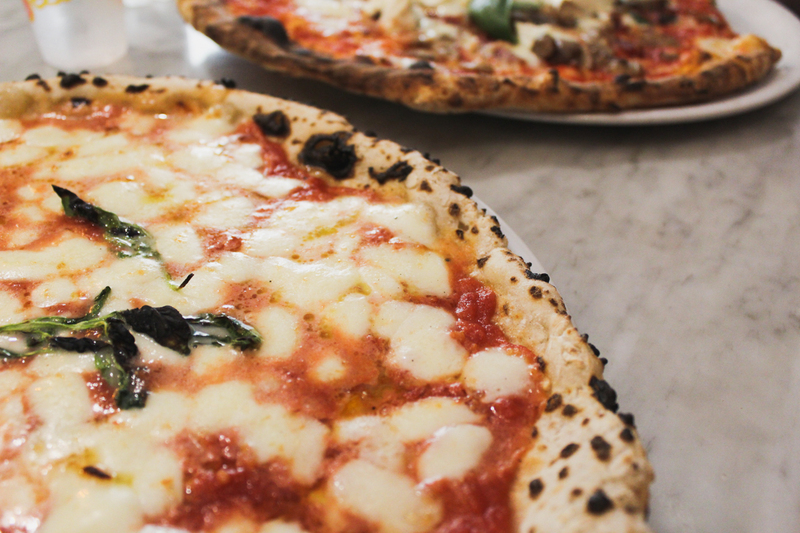 It’s authentic, real deal Neapolitan pizza. I’ve seen them bring the dough from the back so I know they are extra careful with cross-contamination. Also, their house wine is light, fruity and served just a few degrees cooler than usual. Very refreshing on a hot summer day in Italy. 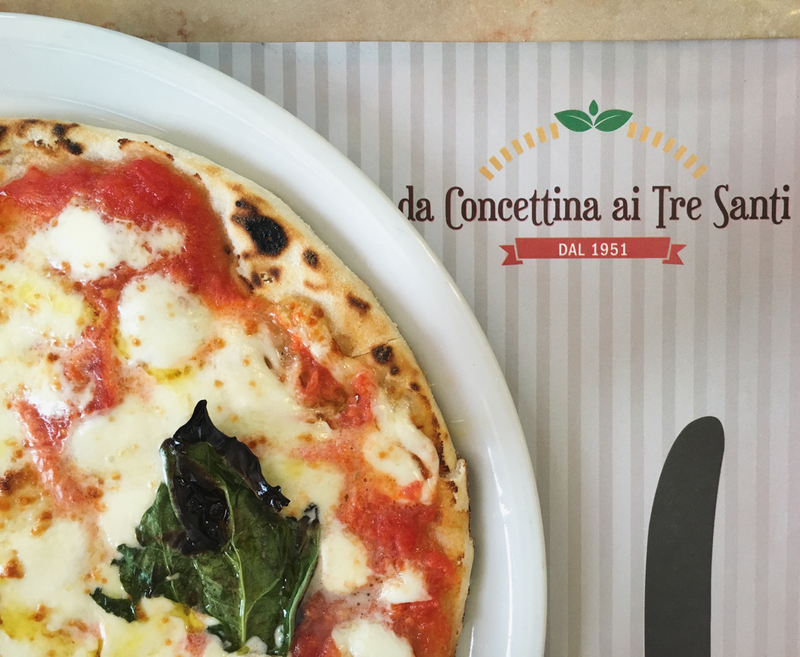 Da Concettina ai Tre Santi definitely has that delicious pink sauce phenomenon when the watery Mozzarella di Bufala mixes with the tomato sauce. Their gluten free pizza has a slightly thicker crust. They were also quite generous on the basil, instead of just placing one loan leaf as a garnish. 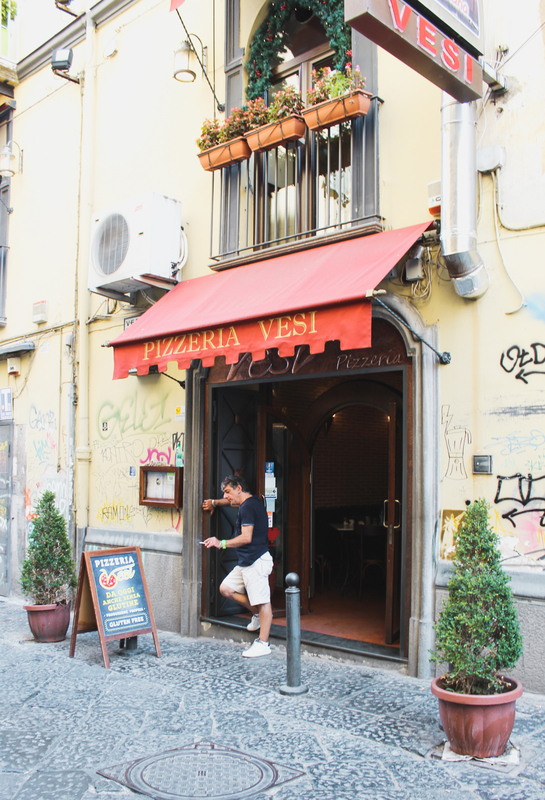 Their gluten free pizza was a little on the salty side for my taste, but Pizzeria Vesi is located right in the thick of it with an outdoor patio too. We visited right in the middle of Ferragosto (late August when most places are closed) so I was happy just to find a place open! 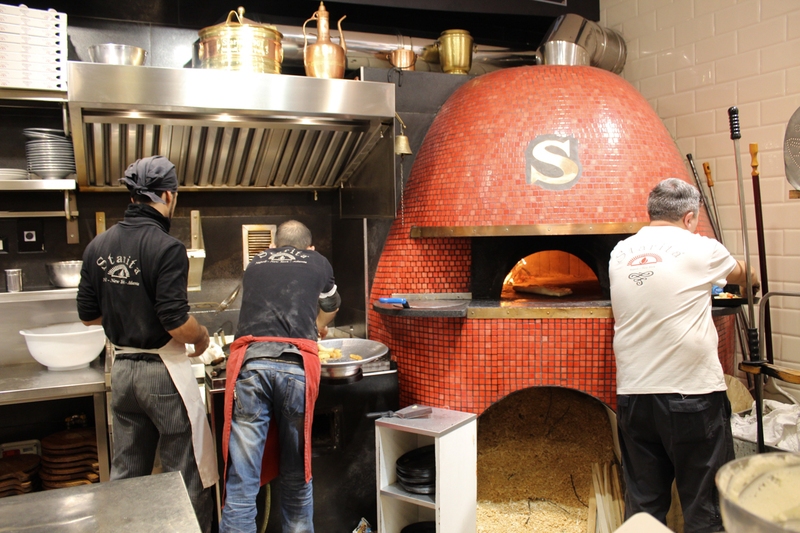 They cook the pizza in a copper container to avoid cross-contamination while still maintaining a crispy edge. Don’t be confused by the store front about half a block away, the actual restaurant is around the corner. 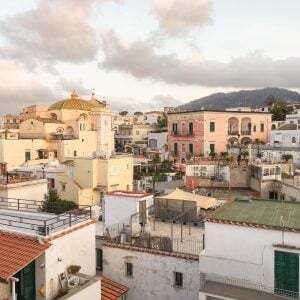 UPDATE: There is a second Sorbillo’s location on Via Partenope that has gluten free pizza! Cassandra of Travel Italian Style and I headed there to investigate. I’m happy to confirm, the rumors are true… and the pizza is delicious! It was hot and doughy, not too crispy. Sorry no picture, we took our pizzas to go and ate them on our laps. I also prefer this location for the ocean view, outdoor terrace and more friendly staff. I know, I know, Rossopomodo is a chain restaurant and not considered as authentic. There are two locations in the downtown area though. If you find yourself in a pinch or hungry during riposo, this place will probably still be open. 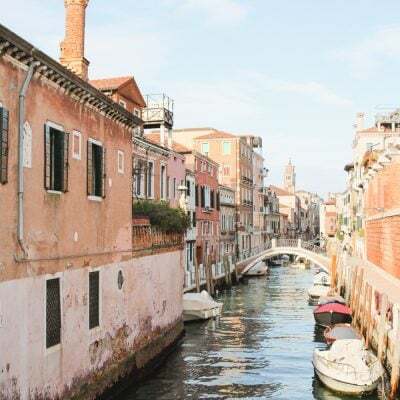 One of the locations is right on the water along the lungomare, Via Partenope. It should be noted too that I was not impressed with Ristorante Mammina on the same waterfront street. They have gluten free pizza, but it was not very good (photo above). I also had a poor experience with them confronting me about wanting a larger tip after poor service, a high coperto and 20% service charge already included. 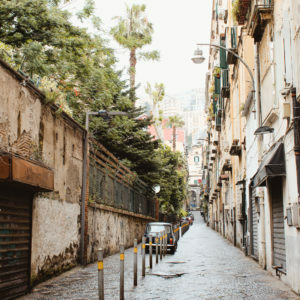 When you visit Naples, be sure to also discover some of the amazing places you can visit as an easy day trip. 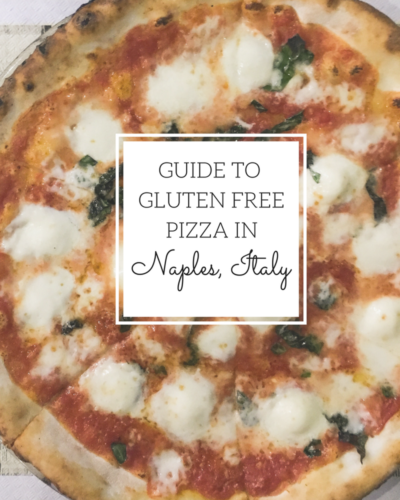 Where have you had the best gluten free pizza in Naples? 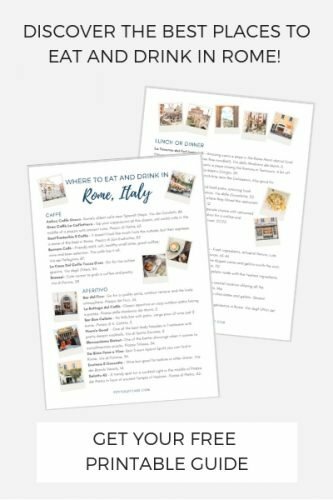 As a celiac and pizza fanatic, I’d love to hear any recommendations in Italy. Gluten free pizza?! That sounds amazing. These photos are making me really hungry for some pizza right now though I just had some the other day! Naples seriously has the best gluten free pizza I’ve ever had. The “other day” sounds like a long time ago ; ) My pizza consumption is out of control in Italy! You just have to do your research when you need to have gluten free options! Lesson learned. Pizza is really amazing in Naples! This is amazing, legit drooling! Defo saving for later 🙂 I guess I’ll just have to plan ANOTHER Italy trip now, won’t I?! I’m sure you’ll be able to get some other decent GF foods 🙂 The pizza in Naples is definitely the best though! Hi Gemma! Yes, I have celiac. Pizzerias cook the pizza on a dedicated pan in the wood burning oven. They don’t just slide it in on the same surface as the rest of the pizzas. I was nervous about that at first, but after seeing how they do it I wasn’t worried. Enjoy! Thank you so so much for this list! 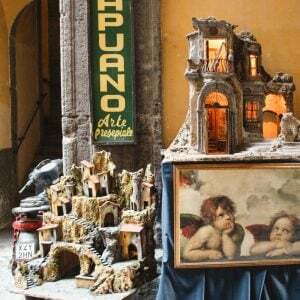 I’m going to Naples in May, it will be very helpful!! I also like some good pasta dishes! Do you know any restaurant which does that in Naples? Honestly, I can’t think of any off the top of my head! I guess I’m just always get pizza! Italians are very accommodating. You’d be surprised at how many restaurants serve gluten free pasta. You can always look at a menu or ask before you sit down. Have a great trip!